With ChatSecure you can chat in an encrypted channel with your Gmail or Facebook account and with users of many other secure services such as Jitsi. 1. Download it from Google Playről: https://play.google.com/store/apps/details?id=info.guardianproject.otr.app.im. 1. Download it from iTunesról: https://itunes.apple.com/us/app/chatsecure/id464200063. 2. You will need to provide a password which will encrypt the data on your phone. If you skip this step, your messages will only be encrypted in transit. 3. You can use ChatSecure with a variety of accounts such as Google or Facebook. 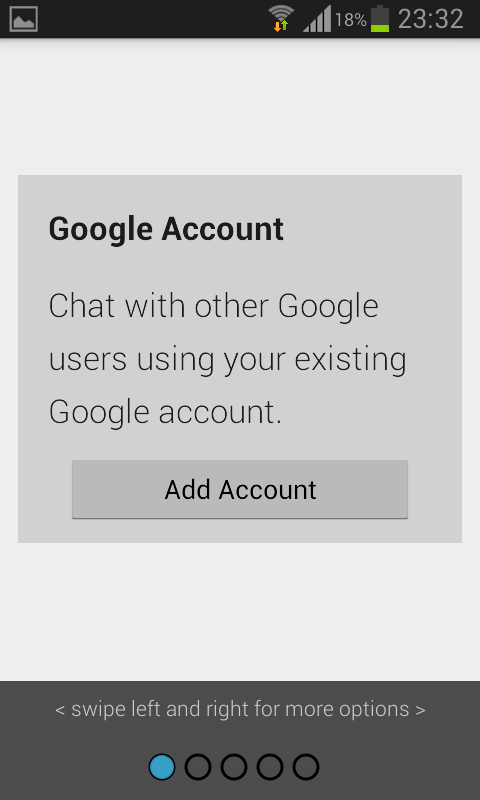 To set it up with Hangouts choose Google Account. Swiping right will display the other possibilities. 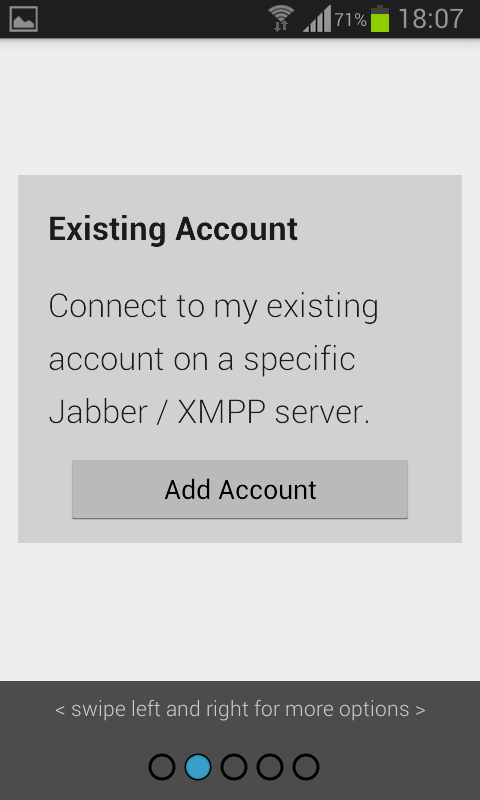 In order to configure Facebook, choose the Jabber/XMPP option. In each case, provide your account username and password. 4. After login your related contacts will load. You can start a new chat or add a contact by tapping on „+”. 6. If your chat partner uses ChatSecure or a similar application supporting encrypted communication you can start an encrypted chat with them by tapping the open lock icon and selecting „Start Encryption”. If they don’t have the necessary software they will receive a notification to install ChatSecure. 7. When starting an encrypted chat both parties will see the same verification key displayed. You should verify that you see the same key using a different secure channel such as Signal and click on „Verify”.